Meditation Techniques for Positive Thinking, Health and Wellness! 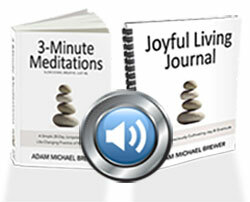 Free meditations offer a large collection of meditation techniques to hopefully reduce stress and attain peace of mind. Please explore our positive informative site and in the process rediscover the wonderful and positive part of your self that dwells within. We believe Free Meditations offers one of the best collections of meditation techniques available on the web. The aim of free meditations is to bring inner peace within our self and the world in a positive and spiritual way. The world is not a peaceful place and within every soul there is some form of tension and stress. It is therefore essential to create positive and peaceful thoughts to bring peace to our mind. Meditation is one of the best methods to bring about transformation and nurture the natural qualities within. The best way that we can create that change is to change our thoughts from being negative to positive. The positive discovery about meditation is that we are focusing within our self and becoming free of negativity. Meditation techniques simply involve a process of transforming yourself, your thoughts, and recognizing the negative thoughts, and changing them into positive and peaceful thoughts. The best attitude towards meditation is to be very patient as the mind does not always want to focus. Having a sense of expectation towards positive results can create uncomfortable pressure and thus take away the enjoyment of the experience. By practicing meditation regularly, the person whom meditates gains a wonderful sense of the self. Meditation is a self healing process, any form of stress is a sign of our negative thinking and Dis ease within our mind. If we don't attend to dis ease in the mind we may find that chronic stress can lead to disease of the body. 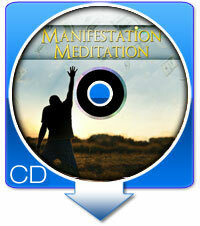 Please try this free online meditation. Open my minds eye so I may see and feel Your shinning light presence close to me. Give me inner strength for my stumbling feet as I battle the crowd on life's busy street. And widen the vision of my unseeing minds eye so in passing faces I'll recognize not just a stranger, unloved, and unknown, but a friend with a heart and soul that is much like my own. Meditation is a form of stress management that will allow our mind to experience an oasis of peace and love within our heart and mind. Meditation gave me back control over my life so that no matter what was happening externally whether it was positive or negative I could still develop control over my thoughts and thus control the emotions and feeling in my mind. NO one can control eradicate adversity in life but you can master the way you respond in regards to your thinking processes. Take control now master your mind through one of the meditation techniques and you will forever be able to be the peaceful beacon in the eye of the storm of any adversity. Hi, I regularly through your website and I love it. I find that your affirmations in particular seemed to make my day brighter and I have become a happier as a person. I now wake up every morning and think of something positive, knowing that my day was going to be great and so was I. I just wanted to say thanks to you for having such a great place where people can go to learn how to get into touch with themselves. I love your website, it has helped me so much. There is one in particular that I try to start my morning with every day. If for some reason I am not able to and something comes up I can just recall it. I sit on the porch, take my three deep breaths and I am there... I know before I start that I will be at peace soon. So thank you so much. I am so grateful for your site. What a beautiful offering. Many Blessings to you. I wish to thank you for your wonderful guidelines on Meditation techniques.Your website is inspiring & informative. Thank you. What a wonderful site. It is so practical and inspiring, thank you.